When Dumbledore arrives at Privet Drive one summer night to collect Harry Potter, his wand hand is blackened and shrivelled, but he does not reveal why. Secrets and suspicion are spreading through the wizarding world, and Hogwarts itself is not safe. Harry is convinced that Malfoy bears the Dark Mark: there is a Death Eater amongst them. 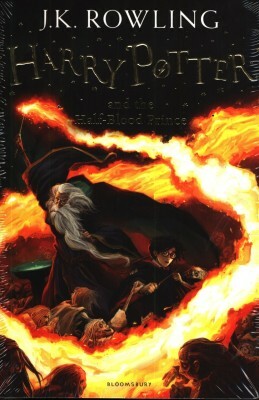 Harry will need powerful magic and true friends as he explores Voldemort’s darkest secrets, and Dumbledore prepares him to face his destiny.These new editions of the classic and internationally bestselling, multi-award-winning series feature instantly pick-up-able new jackets by Jonny Duddle, with huge child appeal, to bring Harry Potter to the next generation of readers. It’s time to PASS THE MAGIC ON .